The Man of the House is on his way home from a business trip. I think I’ll surprise him with this great cocktail that I found in the book “MixShakeStir”. I made a few changes to the original recipe to suit my taste. First, fill your cocktail glass with ice. 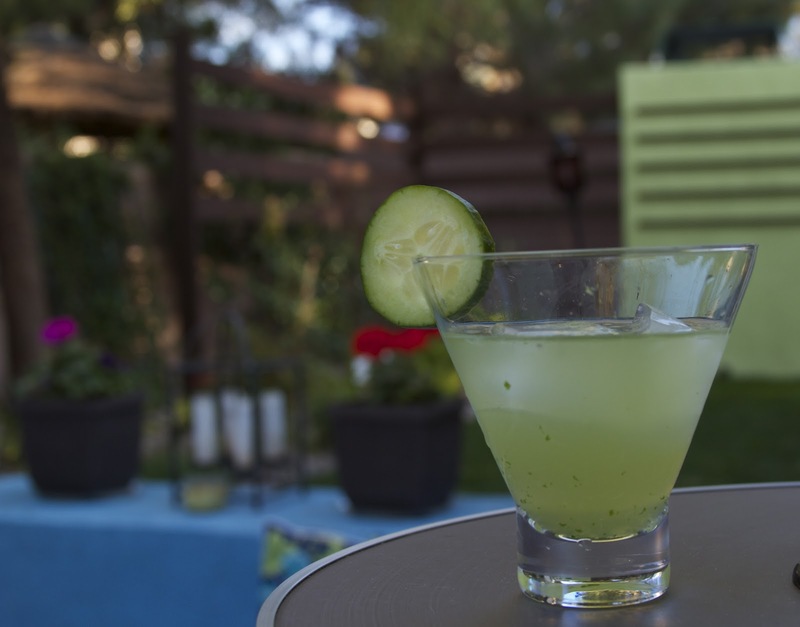 Then muddle 2 slices of the cucumber, the cilantro sprig and the chile pepper in a cocktail shaker. Pour the ice from the glass into the cocktail shaker, then add the gin, lime juice and simple syrup. Shake, shake, shake! Strain and pour into the cocktail glass. Cheers! Yummy! This sounds so refreshing. Hope the Man enjoys it. It was definitely refreshing! And even though he got home super late, he still enjoyed it!